Interlocutor: Thank you, Rah... How are you Master? I listen to you. Ruanel: I am here with you, I am Ruanel. Well, as you know my way of thinking is different from other brothers of Light. Perhaps I am a little more direct and less formal. I can tell you that I have learned many things in the spiritual plane, although I have a lot of sadness for people who have shown indifference to grow and others that have undermined some lessons. Interlocutor: Are you talking about some Scientologists? Ruanel: Both Scientologists and people of the group that you are developing. And it also gives us so much pain the desertion of some who had much to give. Sadness invades my whole being, because I expected more from many people. There are people who have stopped providing service; they have sidelined themselves due to selfishness or disinterest seized their spirit. Others have got away because of close relatives or friends have implanted in their minds different ideas, misconceptions to separate them from the way towards the Light. Interlocutor: And to this group… How do you see it, Master? Ruanel: I see a lot of future. This group has a great condition; it’s a group of guidance and “service”. It’s a group that… if I say, it is destroying engrams, because our mission is to eradicate, firstly personal engrams, that almost all human beings have, and secondly, ending the family engrams, which most accounts. Interlocutor: What level are you, Master? Ruanel: In the 5th, it’s a level of Light, which gives priority in sharing, where we see the power struggles of the lower levels with a lot of grief and with much pain, because their own ignorance creates unhappiness. I use a common expression: we embrace them with our spiritual wings, so that they become aware of true love, where there is no submission. But reality is another. Today I am in a lot of pain because there are people who move away from an altruistic vocation, there are people who do not understand the messages. Interlocutor: Why Scientologists don’t accept Mediumship? I say it, Master, because it doesn’t seem reasonable to postulate on one hand to the existence of a spiritual world and on the other to deny that there might be communication between the two levels, when it has always being done in the history of mankind. Ruanel: What happens is that they have a way of looking at things only from an analytical point of view and this is a mistake. I have always said, and I hold it now, it there has to be a balance. If the mind is not supported by that intuitive spirit it becomes a machine. Interlocutor: Have you left any clear message on Mediumship or just left something for those who have "eyes to see?" Ruanel: Not all minds are prepared to capture what they don’t want. There is a phrase that comes to the case and which is not mine: "The one who has ears to hear, listens to it and the one who has eyes to see, looks at it." Ruanel: It’s true that there is a lot of pain and a lot of misunderstanding, produced by attachment, but we must insist on integration. We never got tired trying to awake up man from his state of ignorance, because we are always ready to work to ensure that every human being achieves self realization. In the plane where I dwell there is a tremendous fellowship. But sometimes we look at those levels where there are so many fights and we worry. The concern is that currently levels 2 and 3 have entities with so many engrams as in the physical world. If the material plane, which is the one of yours, cannot be guided by the spiritual planes surrounding, the question must be: what do we do then? Because of communication with those planes of Error, they used it for destabilizing human being and not for supporting it. It’s as if a student cannot be taught by his teacher. In order to repair this situation all spirits of levels 4 and 5 look for directly orient people of plane 1. That is because in planes 2 and 3 there is chaos. Ruanel: Your thetan is at plane 4 and is very helpful comforting spirits who don’t bear their suffering. Most of the Spirits and Thetans of incarnated beings are at plane 2 and 3, because those are the levels at which go all spirits who disincarnate with some karmic debt. Those are the levels of more frequent communication with the physical plane. There may be Masters Spirits from plane 4 who lower down by vocation of Service to plane 2, as a mission, to be able to communicate with those spirits tormented by their power struggles. Also, there are spirits of Light from plane 5 who, as a gift of Love, guide mistaken entities to find their way. That is so. Interlocutor: Is this what my thetan is doing? Ruanel: That is correct. Your thetan also descends to plane 2 to orient different groups of spirits who are in a state of confusion. Interlocutor: What can I do to help those who refuse to understand what Mediumship is? Ruanel: I would say that you should never hide great ideas, but perhaps this is not the time to help those who don’t want to be helped. For now, we should channel our energies at another level and give the right importance to those who approaches you. Ruanel: That is not bad, but do not forget Psycho-integration therapy  that helps people to unify the various roles assumed by ego achieve self realization. Interlocutor: I am intrigued by the fact that there are always individuals, apparently very interested, that approach our spiritual group and after a few meetings they vanish. Interlocutor: Master... Do you say that there are people who come to satisfy their curiosity, and not to elevate their spiritual condition? Ruanel: In general this is the case. They find out that there is a new proposal, come to see what this is all about, satisfy their curiosity and withdraw. Ruanel: Most people are approaching a group to get something more meaningful than a teaching - I say it ironically. I am not talking about material things but, for example, many are approaching a priest healer to be cured of a particular ailment. Others request for their family or for work. Or come to address a particular loving problem. Ruanel: And so they forget to give... That also is ego. There are other cases: people who are quite high, spiritually speaking, and want to cooperate with a certain spiritual group, but then they compete with others to see who is more important within that spiritual flow. It ends up invading their pride and at the end they move away. It is another form of ego. This causes me much distress. I feel so hurt, because I am concerned that people who can help in the mission end up failing because ego dominates them. Interlocutor: Should I try to convince those who are invaded by arrogance and leave? Ruanel: No, it would not make sense because the good is not imposed, it is proposed. Otherwise, those people who put themselves in front appearing when giving, they would end up harming the group. It is a pity, because this is a key moment and transcendental to humanity, since the occasion of the turn of the millennium, conditions are given for a spiritual change. But in order to make that change, it is necessary that man becomes aware of his evolutionary path. Interlocutor: I visualize a future where different Guidance and Service groups grow increasingly, and the aid extends. Ruanel: My vision goes beyond that. Logically, this will take time, but it would be important at some future date you have the means to visit energetic places such as, for example, the Uritorco Hill. In Cuzco there is a center of energy that is perhaps the highest in the world. It is a very high energetic center, where people can meditate and channel the Divine Energies of plane 7. Then, they have a sense of total harmony and realize they are one with the Cosmos. Interlocutor: Is there such channeling in the Uritorco Hill? Ruanel: Yes, but to a lesser extent, since many people take the site as tourism and not as Illumination. Remember that people has not become aware of that path of evolution yet. The work will be hard; there will be rewards and also much pain, when noticing how many misestimate the messages. Moreover, it’s necessary that personal and family engrams disappear, until ultimate defeat the planetary engram, because this planet must raise tonal scale. This is that all its inhabitants turn by altruism. Interlocutor: Returning to the subject of Scientologists... Would it not be appropriate to inform them that they can take contact with you through Mediumship? Ruanel: You must respect their free will; you cannot influence anyone and try to impose some ideas. I notice that many are tied to a mental structure, and this is indeed one of the things that cause me so much pain. Interlocutor: I was convinced that in the spiritual planes there was no pain, and even less at the highest levels. Ruanel: Yes, there is pain. It’s spiritual pain that has nothing to do with the earthly anguish and physical pain. It’s sublime spiritual pain, because in the Light we are not suffering for ourselves, because that would be ego. At higher levels we suffer for others, to see that ignorance leads them pain. The spirits of Error suffer for their own protagonism and we share that grief. But we share it with love and try to alleviate the load of each spirit. The same happens with incarnated human beings. The more needs have generated more suffering. We sent Light to their causal body,  trying to mitigate their protagonism, but they commit further errors and, in turn, suffer new sorrows. The pain felt in subtle vibration is supported because we know that some soul is always going to be rescued from his mistake. Opposite happens other times. There is a spirit who tries to raise, at some point a certain engram afloat and that spirit twists in resentment. All this can be transferred to the physical plane. Some people spoil in some instant years of internal growth and it has nothing to do with little or much spiritual preparation that person has. Perhaps at a certain time that person had a doubt, he was invaded by ego, a temptation assaulted him, he was dragged into confusion and that led him to deviate from the path of service. To give you an example, spiritual elevation is like climbing a very steep mountain. You climb meters by meters, suffer cuts and bruises. And if you give a false step, you fall and lose everything you have done. Interlocutor: It’s a good example. Ruanel: You can even drag one of your partners if you are tied to them. Just as in the spiritual way. It’s easier to fall than to ascend. Then, the rows of the Error are enlarged. So… can you understand the pain that it generates? Interlocutor: I understand, Master, because something similar happens to me when I see that indifference prevails over compromise. But I know that we must continue in spite of everything... Now, I have a question: Did your teachers suggest not leaving anything written down on Mediumship? Ruanel: It was something that at that time was not going to prosper. Then I received in my causal body that I should continue writing about Dianetics. However, and I say this almost certain… you yourselves will be responsible for spreading what exactly is Mediumship and how the spirit world is channeled, because there are many things still ignored on this matter. There are many wrong bases about Mediumship. Let me give you an example: It is not true that if a medium of a certain region or country "takes" the spirit of a person who lived in a different place, he speaks in the language of that place or either he expresses in the language of the medium but with accent. It is not true because the spirit communicates with ideas that the mind of the medium processes them and then translates into words. Therefore, the one who channels telepathically will express in his language and with his own accent. Interlocutor: It was a necessary clarification. Ruanel: You may not be the only one who know what I have said but your group will share the responsibility for disseminating the true techniques of Mediumship channeling, thus not to give wrong messages. Interlocutor: Master, I wanted to know if I should deepen my knowledge in Scientology, and then transmit it. Ruanel: Scientology can be one of the walls of the spiritual structure. Mediumship and Spirituality can be other walls along with knowledge. But the therapy of Psycho-integration is the roof of the building, because it seeks to integrate all selves, so that protagonism disappears. If I may use the expression, everything is going to be like a very high building where the tip will almost touch the level of Light. But that work probably will not be completed in this generation, because the task is too much. One of the things that we need to achieve, and sometimes we don’t do it, because human being is selfish and tries to get everything for his own glory, is to find in the future people who will continue the work of Guidance and Service. There are many people who try to rise spiritually, but they are not yet ready for changes, because they have to learn to live in the earthly plane, without bitterness or jealousy. It is the will of the Supreme Maker that everything should work on time. We will always find someone eager for inner growth. Otherwise it would be like planting in a sterile field. Meanwhile, we must continue tirelessly in the search. Interlocutor: Now I am interested to know if you are present because I invoked you or it was scheduled your presence here. Ruanel: My presence was scheduled. Usually invoking entities of subtle levels is impossible if he is in a particular mission. Know that many entities of Light help different towns to withstand feel marginalized, so that resentment or a revengeful feeling does not arise in them. Interlocutor: Are you talking about countries with limited resources? Ruanel: Yes, but at all times there were submissive towns and often by their own rulers. It happened thousands of years ago in Sumer, also in Egypt and in other towns that were arising. Interlocutor: Also, there have been flourishing civilizations. Interlocutor: Why don’t you give us now the manufacturing system? Interlocutor: How many years behind is the Earth… evolutionarily speaking? Ruanel: Earth is behind schedule in its spiritual evolution with regards to its technological advancement. In the scientific side, progress was made even more than expected. Ruanel: It was estimated, for example, that just by 2100 of the Christian era, the atomic fission and the nuclear weapons would be discovered. And this, as everyone knows, was made earlier. In 1938 the nuclear fission was discovered, there were atomic bombings in 1945, but it was not their time yet. Interlocutor: And how could that be, Master? Ruanel: It was the greed of power of the human being. That led him to major wars and researchers devoted all their time to create destruction devices. Do you have another question to make? Interlocutor: Yes, from your point of view... Which is, in particular, the purpose of our spiritual mission? Ruanel: Trying to attract the largest possible number of people to teach them all the knowledge you have and you are gradually gaining. The important thing is that we do not fall into a crude proselytism, but offer what you know to those who wish to grow. In conclusion, I wish to convey that as well as I have come to this plane with a lot of pain for people who have disappointed us with their disinterest. I must also highlight the work of many who work with dedication and selflessness. Interlocutor: How do you channel that feeling of pain? Interlocutor: Thank you Master for your message. Until soon. 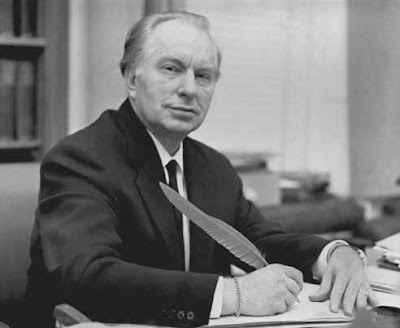 Mental Health" and in 1954 he founded in Washington DC, the first organization of Dianetics and Scientology. It is called Thetan the spirit of the incarnated person. When disincarnates is just called Spirit. planes; they just intuitively perceive their ideas and receive their Light. Advanced Technique of Transpersonal Psychology, created by Jorge Olguin. suggestions. And the body of desires is vessel of temptations, which usually makes the ego to grow. This entry was posted at Monday, June 01, 2009 and is filed under Heaven Responds . You can follow any responses to this entry through the .